*After Giovanni Ambrogio de Predis (circa 1455-1508). A good quality copy after the famous portrait of Beatrice d'Este often ascribed to Leonardo da Vinci, but now given to Ambrogio de Predis. 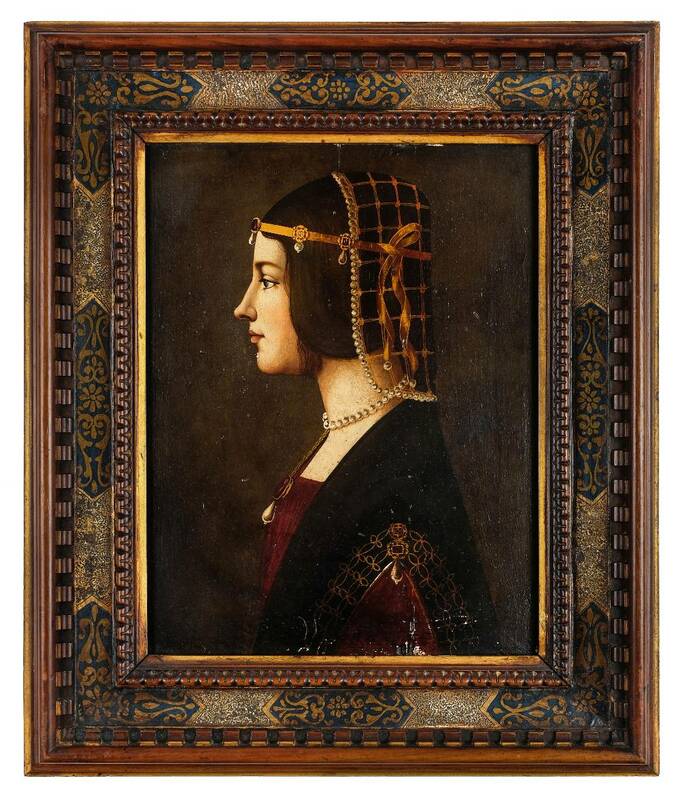 Recent research by Martin Kemp and others has also suggested that the sitter is not Beatrice d'Este but Anna Maria Sforza (1476-1497), the first wife of Alfonso d'Este, Duke of Ferrara. Alfonso Dori is listed in a 1930 edition of the Annuario Toscano as a Florentine leather worker and bookbinder, founded in 1891.